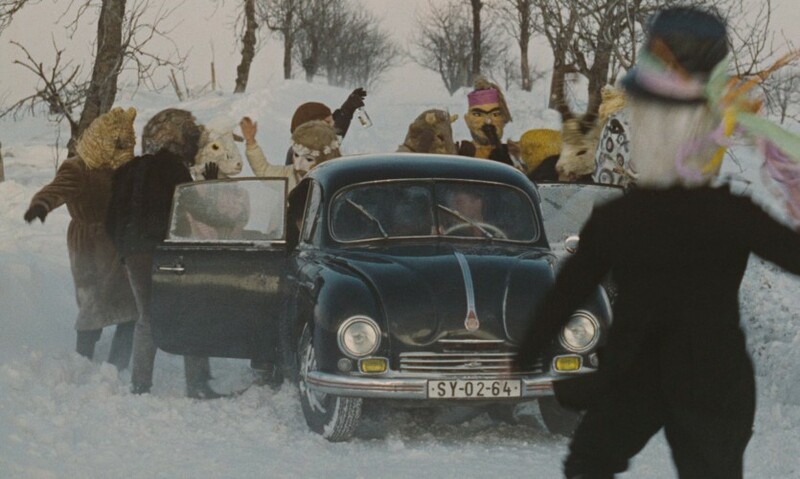 Director Vojtěch Jasný and cinematographer Jaroslav Kučera had already teamed up to brilliant effect with 1963’s sublime When the Cat Comes (CaSFFA 2015). In 1968, just prior to the Warsaw Pact invasion, they combined for this wonderful film which, notwithstanding being banned “for all time”, won Jasný a Best Director award at the 1969 Cannes Film Festival and Kučera a Technical Grand Prize – Special Mention. A brilliant cast, along with superb costume design by Ester Krumbachová, adds further lustre to one of the greatest Czechoslovak films of the 1960s. All My Good Countrymen charts more than a decade in the lives of the inhabitants of a small Moravian village in the immediate post-World War II years. As the seasons change, year in, year out, their once tight-knit society comes ever more undone – the catalyst: the enforced collectivisation of the 1950s. Jasný drew extensively upon his own autobiography in making this kaleidoscopic, poignant masterpiece. CaSFFA is proud to screen the digital restoration of All My Good Countrymen courtesy of the National Film Archive in Prague.